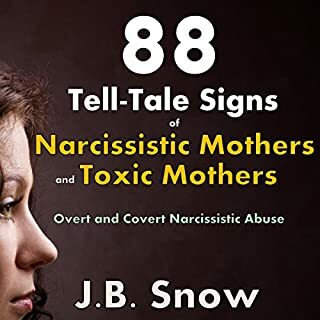 I've been through decades of being subjected to my mother’s narcissism, and it was only when I hit my lowest point that my survival instinct kicked in: I either cut ties with my mother or I developed ways to deal with her hurtful, damaging behavior. Neither option was going to be easy, but both were going to ensure I could heal, find my self-worth for the first time, and begin to thrive. I would no longer be living in her shadow. Dealing with your narcissistic mother means taking back control. 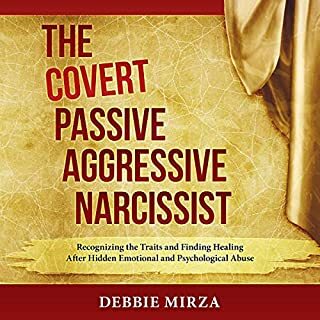 In this compelling book, the authors present an innovative therapeutic model for understanding and treating adults from emotionally abusive or neglectful families - families the authors call narcissistic. 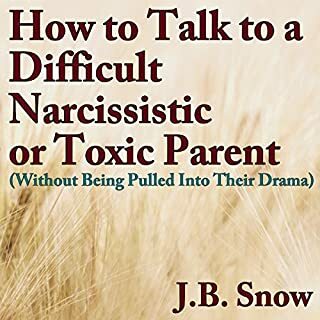 Narcissistic families have a parental system that is, for whatever reason (job stress, alcoholism, drug abuse, mental illness, physical disability, lack of parenting skills, self-centered immaturity), primarily involved in getting its own needs met. The children in such narcissistic family systems try to earn love. The best news on the planet is that your mother doesn't have to change in order for you to be happy. In fact, author Karen C.L. Anderson will take it a step further and say your mother doesn't have to change in order for you to be free, peaceful, contented, and joyful. You can emotionally separate without guilt: Inspired by her own journey, Anderson's Difficult Mothers, Adult Daughters shows women how to emotionally separate from their mothers without guilt and anxiety so they can finally create a life based on their own values, desires, needs, and preferences. As someone who has come out of the other side of narcissism, it’s something I’ve come to have a deep understanding and knowledge of. I’m passionate about connecting with other adult survivors of narcissistic mothers to hear their stories, as well as share our understanding of the abuse. This book will encompass both of these factors. I will help you overcome your narcissistic childhood. The difficulties experienced by adult children of narcissists can manifest themselves in many ways - for example, physical self-loathing that takes the form of overeating, anorexia, or bulimia; a self-destructive streak that causes poor job performance and rocky personal relationships; or a struggle with the self that is perpetuated in the adult's interaction with his or her own children. These dilemmas are both common and correctable, Elan Golomb tells us. The first love in our lives is our mother. Recognizing her face, her voice, the meaning of her moods, and her facial expressions is crucial to survival. 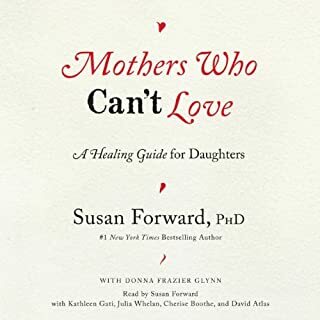 In this book, Dr. Christine Ann Lawson vividly describes how mothers who suffer from borderline personality disorder produce children who may flounder in life even as adults, futilely struggling to reach the safety of a parental harbor, unable to recognize that their borderline parent lacks a pier, or even a discernible shore. It took me 45 years to finally know why my Mother is as she is. I generally like this book but the extensive and multiple chapters on EMP a technique that I’m not really sure about might’ve been a bit much. One maybe two examples would have been plenty but 4-5 chapters on just that one modality was too much. Everything else was spot on and so nice to get validation on some shared experiences of other victims. I'm finally validated in my thoughts and feelings for years I was told I was selfish, self centered and vapid. For example, I was running errands for my mother on my wedding day! Any normal person would see this as wrong and unconscionable but to her, she was spending all this money on me, it's the least I could do... just reading this book is like going through 10 years of therapy! Highly recommend!! I have recently discovered that my mother has narcissistic personality disorder. I am trying to figure out how to deal with it. This book has given me confidence. I love the analogy of the flying monkeys! Fits my dad perfectly. Thanks for these insights. still processing the information. Thank you Danu. It has a lot of great information! It has a lot of great information, however it is a little repetitive at times. I FEEL FREE!!! MUST READ!!! THANK YOU!!! This is one of the best books I've ever read!!! I finally feel like I'm understood and that I'm not too emotional!!! I plan to buy a hard back copy as well to help me with the homework portion!!! 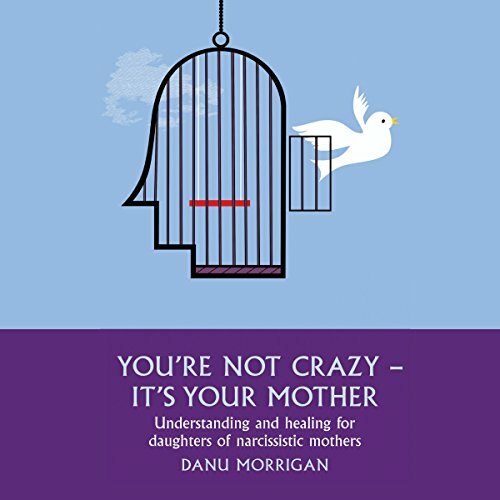 IF you are a daughter[err, survivor] of a narcissistic mother.... THIS BOOK IS A MUST HAVE!!!.... The book was of course absolutely great in every possible way..... If you are a D.O.N.M. (Daughter Of a Narcissistic Mother); as Ms./Mrs. Morrigan, (thankfully), simplifies into an acronym. For us fellow Daughters[survivors] Of Narcissistic Mothers.... I have found there is healing when we share our stories. I don't give a flippin flippity flip-flop dippity-tha-tha-doo-doo-doo all the flippin floppity flim flam all the dippity-doo day long... If you think I'm corny when I say I believe from my own experience and shared experience of others, there is such POWERFUL HEALING when we come together listen and share because we do form our own pack, tribe, sisterhood that no one else can fully understand. There's so much value in that. you will find that here. links to other resources. website all kinds of extra stuff. Gave a voice to my life story! 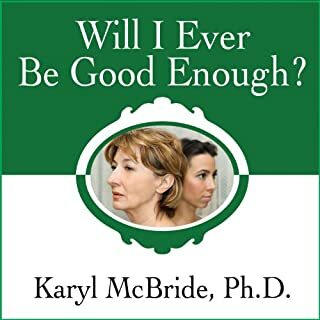 This book articulates something I have never been able to explain to others who never dealt with a narcissistic mother. The author describes characteristics that I had to ignore my entire life. 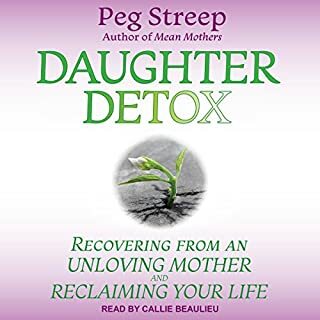 It took me forty years to validate myself and cut myself loose from a toxic mother. Thank you for your insight and personal experience. What is the difference between the goose & gander? NONE! they are both the same, unfortunately. The first chapter was filled with "I's" and ultimately a pity party. I’m so grateful to the author for this book. My life makes sense now. I’m looking forward to putting the scripts into practice. This book is a game changer! I have listened to many books on this topic. This one has been my favourite so far. Only negative is the EFT program in the second half, I struggled to get through those sections as I don't feel that they will work for me. Otherwise first half of book was very helpful.